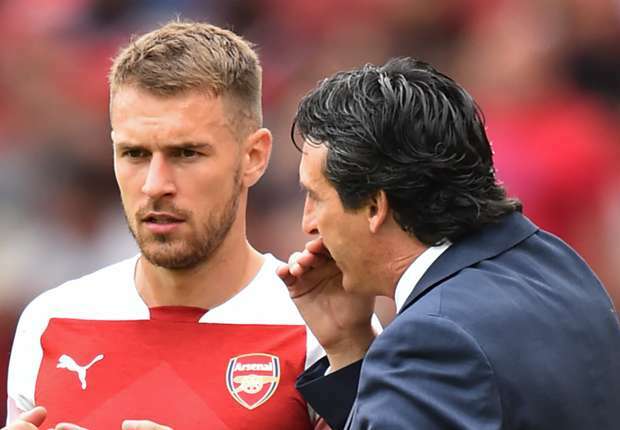 Aaron Ramsey has stated that he knows not the reason why Arsenal decided to pull out of contract negotiations with him at the time they did. The Wales international is in the final year of his contract which attempts were made to extend recently but at the moment everything has been placed on hold. We at first thought that the withdrawal by the Gunners was something of mutual knowledge by both parties but with the bombshell dropped by Ramsey, it is clear that it was a one-sided decision which neither we nor the affected player. Quizzed on his ongoing contract saga which will see him become a free agent at the end of the season if it remains this way, the 27-year-old informed reporters of how confused he was owing by the fact that the club has kept quiet over his matter when he was already ready to commit his future to Arsenal. “Well, there is no contract on the table at the moment so there is nothing for me to consider", he said. Ramsey has still been influential for Arsenal despite uncertainties surrounding his future at the club. He was even made to captain the Arsenal side that beat Sporting Lisbon 1-0 in our last Europa League fixture, a sign that he could still be put into consideration in the near future.